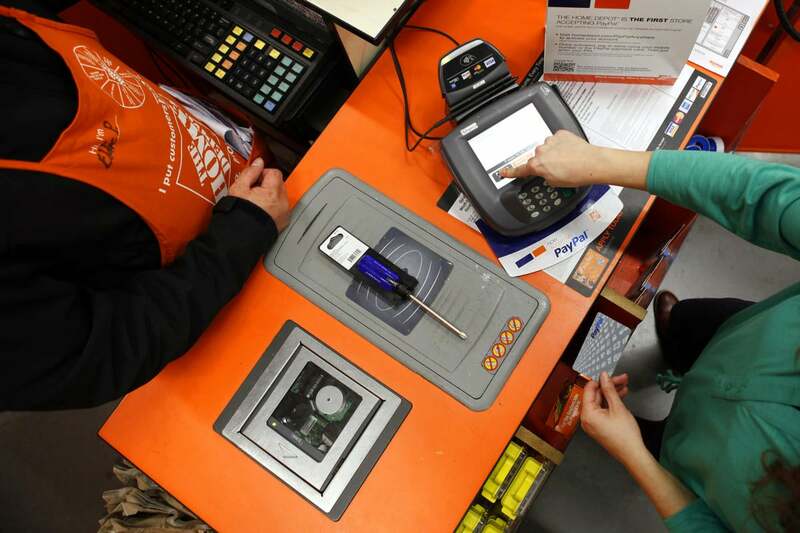 Company is still investigating 'unusual activity' that may affect almost every store in U.S.
Home Depot itself has so far not confirmed a data breach and has only said that it is investigating reports of "unusual activity" involving credit and debit cards used at its stores. Nor did Home Depot spokeswoman Paula Drake respond specifically to Krebs’ latest disclosures. But in an emailed statement, she noted that the company’s forensics and security teams are "working around the clock" with security firms like Symantec and FishNet Security to investigate the breach. "There is no higher priority for us at this time than to rapidly gather the facts so that we can provide answers to our customers," Drake said. "We know these types of incidents can cause frustration and concern and we apologize for that." Since news of the potential breach went public Home Depot's shares have fallen by over 3% from $93.11 at 11.00 ET Tuesday to $90.34 at 2.00 ET today. It is unclear though if that drop is the direct result of the breach news or other factors.